WooCommerce Coupon Messages is an extension for WooCommerce that allows to override the default coupon messages. 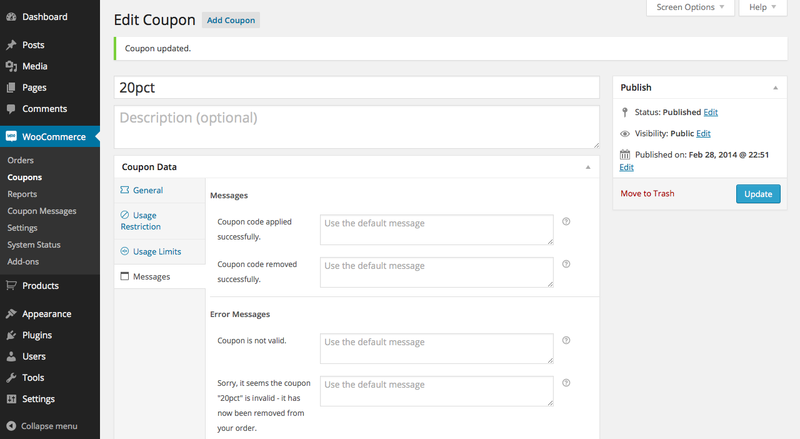 Install and activate the WooCommerce Coupon Messages plugin. 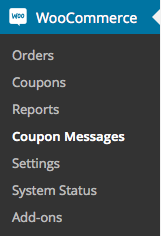 You will find a new menu item called Coupon Messages in the WooCommerce menu. For each coupon, there is also a new Messages section. 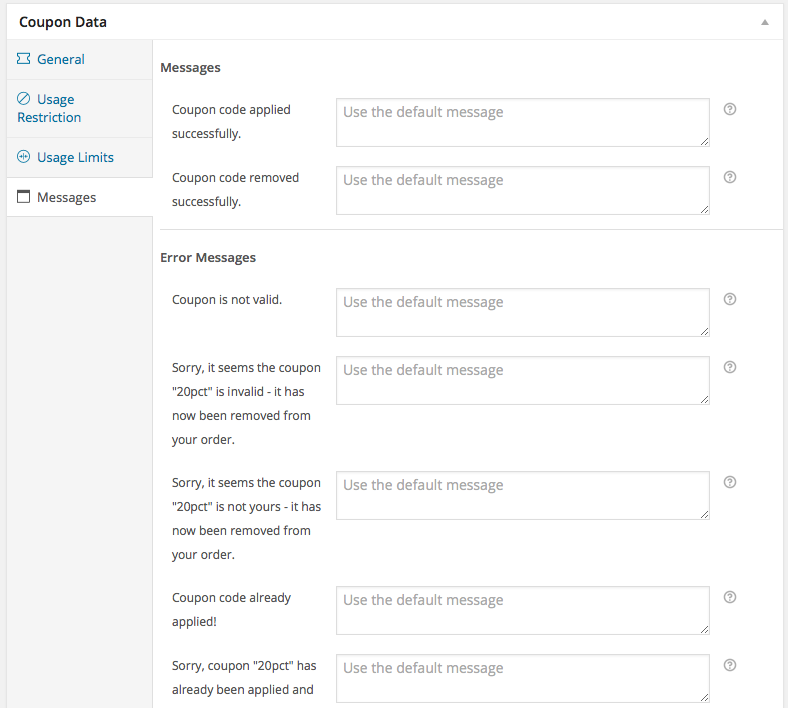 Once the plugin is installed and activated, generic coupon messages can be overriden from the WooCommerce > Coupon Messages section in the dashboard. 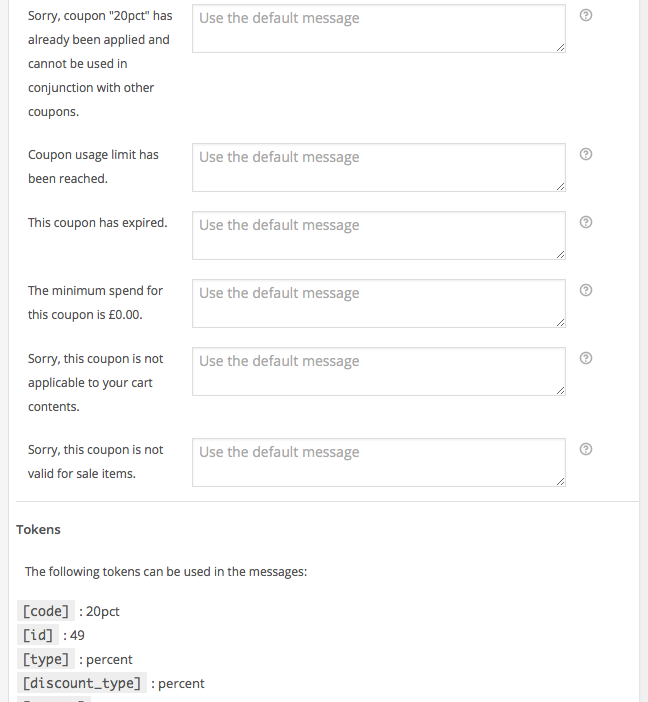 If you would like to change the message that is displayed for all coupons, then indicate the replacement message in the appropriate field and click Save. 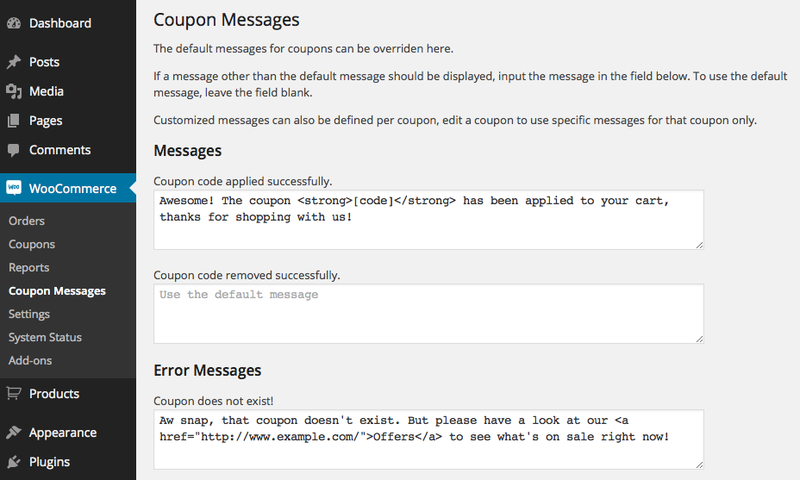 You can also specify message overrides for each coupon. Edit a coupon to access the individual settings. 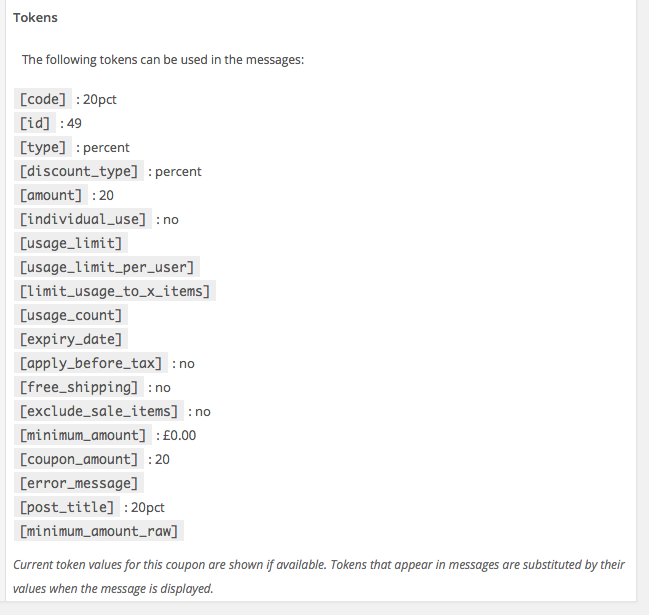 Tokens are used to display coupon data dynamically in a message. For example, use [code] to indicate the coupon code in a message.